Hair styling is an important part of personal grooming for women. A change in your hairstyle can bring in fresh change to your appearance. That is why makeovers mostly constitutes of hair styling. Among the different hairstyles that are preferred by women, curly and wavy ringlets are highly popular because of their bouncy and luscious look. Curls can add a playful charm to your face when compared to straight hair. Ringlets or wavy hair bouncing with the wind will liven up your personality and will help transform you into a bubbly character. Curling irons or curlers are hair styling tools that will help make curls or waves in your hair. They are rod-like tools that functions with heat. This rod-like part in a curler is called barrel and its size determines the type of curl it can make on your hair. The barrel is heated and the hair is wrapped around it and held for some time till the heat works on the hair strands to alter their shape. The larger the diameter of the barrel, the looser the curl and smaller diameter ones will provide tight ringlets. Barrel sizes range from 1 cm to 5 cm and specific sizes are ideal for use with specific hair type. 5 cm barrel – This is mostly used to provide a rounded bend at the hair ends. Ideal for long hair, this curler will provide volume to your hair. 3 cm barrel – This is the widely used curler size and works on both curly and straight hair. The voluminous waves produced by this looks best on short to medium length hair. 1 cm barrel – This provides tight coils which are perfect for vintage-inspired classic hair styles and updos. While the barrel size determines the type of curl, the material of the barrel is important in ensuring your hair’s health. Always choose curling iron composed of material that does not damage your hair. Ceramic, tourmaline, titanium and chrome are the most widely used materials. The qualities of these materials vary from each other based on heat distribution, ability to maintain constant temperature, capability to change the hair texture and on the rate of friction produced when it is rubbed against the hair strands. Prepping the hair is important for achieving good curling results. 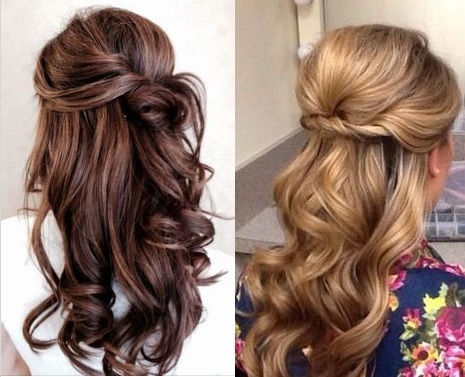 Follow the correct steps and you will be able to flaunt those luscious curls that you always wanted. Oily hair needs to be washed and conditioned, while non-oily hair need not be washed before curling. Apply heat protectant on your hair to reduce damage and blow-dry. Separate the hair into sections and apply hairspray. Wrap the hair around the barrel, hold for few seconds and release. Spray hairspray on the curls for a long-lasting result. Visit online shopping websites that sell hair curlers online . 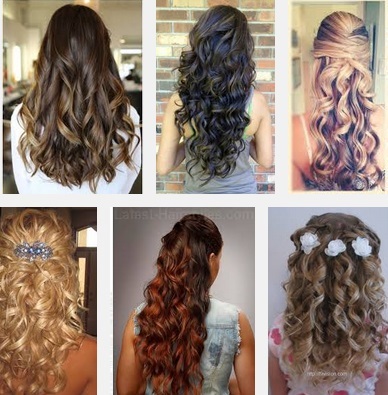 Choose one according to your hair type and the type of curls you prefer. It will be delivered to your doorstep while you wait at home ready to try it. Like every teenager, I was conscious about the way I looked. At any given time, you’d find me in front of the mirror, turning this way and that, trying to see if everything looked alright: my hair, outfit, jewellery, watch, and what not. And this is just on ordinary college days. Every time there was an important event at college, I would try at least 5 different outfits before deciding which one to wear. My hair-do was another story altogether. I loved my hair to bits; it was smooth, silky, and oh-so straight. I was so proud of it that I always let it down so that I could flaunt it in front of the other girls at college. I thought my hair was perfect and that it looked beautiful effortlessly. But I was wrong. This realisation came when the other girls at college flaunted different styles every day and I couldn’t. Reason: my hair refused to be contained in pins and ties; it simply had to slip away. Of late, this had become annoying. I knew I had to do something about it. “Maybe a hair curler will solve the problem”, I thought. So, that day, I went home and told Mom that I wanted to buy a hair curler. She flipped out. “Are you out of your mind? Why would you want to mess with your perfect hair? Don’t you know that hair curlers damage your hair?” She went on and on about the disadvantages of hair curlers and how buying them was a bad idea. I couldn’t deal with it. I had a minor panic attack. I could picture myself at college: dressed in rags with my boring straight hair sticking to my face while all the other girls were dressed in funky clothes and had cool hair-dos. No one was talking to me ‘cause I looked out-of-place. They thought I was so-not-cool. Noooooooo!!! I had to do something about this; I had to convince Mom to let me buy a hair curler. The best way to convince my mom would be to find valid reasons which would show her that hair curlers are not as harmful as she thought they were. So I researched online. I found out that hair curlers can harm the hair only if the heating element is faulty. Good-quality ones which are functioning properly do not harm the hair. Besides, now ceramic hair curlers are available in the market; these ensure that your hair is smooth and silky. I used these facts to convince Mother and she agreed. She let me buy the hair curler, but on one condition, that I would not use it more than once a week. I agreed and we called it a truce. On the same day, I logged on to an online shopping portal and bought a hair curler online . It reached my doorstep within the next two days. I was overjoyed. Now I could sport a new look every week. Women with wavy hair put in all they can to get their hair straight, while women with straight hair love nothing more than spending hours in front of the mirror trying to get tendrils of perfect little curls. This is just one giant puzzle that most men will not even bother to try and understand. But only we women know what great joy a little makeover or style experimentation can bring us. We may be too old to walk around with a crown on our head, but who needs crowns when you have a head full of luxurious hair just waiting to be styled! That friend’s birthday party that you have been looking forward to or your college graduation ceremony that you have been training for all your life require you to go all out, and what better way to do this than by curling your hair to perfection. With a crown of soft curls adorning your head, you can enjoy yourself, feeling confident about the fact that you look as good as you feel. And for all your hair curling needs, the appliances you need to befriend are hair curlers . Curling wands – These are the hair curler you need if you want thick, smooth, and natural-looking curls. Curling wands are a lot less restrictive than most other styles of hair curlers and allow you to style your hair from soft ringlets to big curls, in a quick manner. To use these curlers, all you have to do is wrap sections of your hair around the barrel of the curlers. 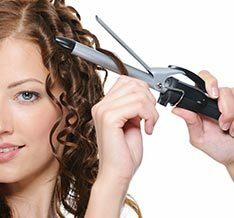 Curling tongs – If you want to achieve tighter and more defined curls, you might want to get yourself curling tongs with a slim barrel. For creating soft waves of curls, your best bet is hair curlers with a large barrel. Crimpers – Ever wondered how the models in the glossy magazines you read always seem to look flawless with bouncy, thick hair highlighting their delicate features? You can get hair like them too. All you need is hair crimpers. These hair curlers are perfect for giving one’s hair more texture and volume. Hot air stylers – If you wish to try a pouffed-up retro hairstyle, you might find hot air stylers with large barrels to be really helpful. For more defined curls, you have at your service hot air stylers with smaller brush attachments. Rollers – These hair curlers are extremely simple to use and do not expose your hair to as much heat as the other types of hair curlers. To give your hair a fuller look, set the rollers at the crown of your head. Setting them at the ends will help you get those soft curls you want. Multi-stylers – These hair curlers are perfect for women who like to shake things up every now and then. Multi-stylers generally come with a range of attachments that allow you to crimp, curl, and even straighten your hair just the way you like. Cordless – They are a great option for women who are always on the road. Sponge – Sponge hair curlers are made of soft foam and are the perfect hair curlers for little children. Weekends can now be all about mother-daughter bonding time. Andis, Philips, Babyliss, Remington, or Vega, to get the best of the hair care world, buy hair curler online . One of the most beautiful things about being a woman is that you can experiment with the way you look endlessly. You can wear different type of outfit every day, sport a new set of accessories, and try a new hairstyle that can give you a total makeover. Trying out new look every day will not only make you feel bold and confident but make your mundane work days a little more exciting with an edge of glamour. Your hairstyle is an important aspect of any type of look you want to try on any given day. To flaunt a new hair style every day, buy hair styling tools such as curling irons and hair straighteners among several such products. Different types of hair styling products meet the varying needs of women with both short and long hair. You can choose to sport different types of hairstyles based on the season, occasion and any or no reason at all. Make heads turn wherever you go; looking gorgeous and making a good impression anywhere you go is no sin after all. With a vast array of hair styling tools available online, it is time for more selfies with elegant hairdos. Share those beautiful photos and make even those who envy you admire your zest for staying stylish and trendy. On all those days when you want to look cool and jazzy, you could always use a curling iron and curl your hair. This works best if your hair is long enough to flaunt flowy curls. Flaunting curly hair will make you look cheerful and bubbly even if the day is gloomy. Why not try it to chase the Monday blues away? You could flaunt this funky look perfectly with skirts, dresses, or any other casual outfits. With curls, you can never go wrong and can have endless fun as they fall and bounce on your shoulders. If you have to attend a party on an evening and want to look sophisticated and elegant, get the straightener out of your closet, straighten your hair and tie it up in a bun or just let it flow gracefully. Such a hairstyle will certainly help you look great with a classy floor-length gown or a stunning saree. Hair dryers can help you get ready sooner when you wash your hair and are in a hurry to get to work in time. With efficient heat-up time, these are safe to use on a regular basis. Also, hair stylers will help you enhance the sophistication of the hairstyle you want to flaunt. A hair brush is a staple requirement and a hair styling product you can carry anywhere in your purse. You can always brush your hair when your hair gets a bit messy after that morning ride to work. Buy hair styling tools online and bid adieu to frizz, knots, dullness and other such hair problems. Add more sheen and healthy look to your hair with brushes, combs, dryers, stylers, curlers and straighteners.